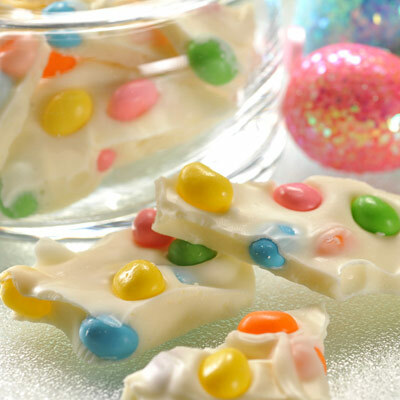 Here is a easy Jelly Bean Bark Easter recipe I can actually handle. I am buy no means a baker but I think I can do this. Look how beautiful this turns out! So festive and fun! MICROWAVE morsels and vegetable shortening in medium, uncovered, microwave-safe bowl on MEDIUM-HIGH (70%) power for 1 minute; STIR. Morsels may retain some of their original shape. If necessary, microwave at additional 10- to 15-second intervals, stirring just until morsels are melted. Stir in 1/4 cup SweeTarts Jelly Beans. While we are on the subject, Hop into Easter with this season’s sweetest sweets! Brighten up the Easter basket with a Butterfinger or Crunch Bunny and bring a smile to your child’s face with theWONKA Laffy Taffy Jelly beans or Nestlé Crunch and Butterfinger NestEggs. 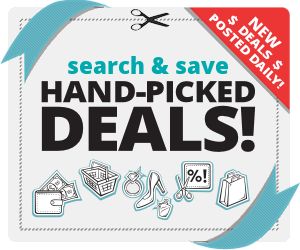 The bold packaging, unique Laffy Taffy flavors and chocolaty Crunch and Butterfinger are perfect to for filling Easter eggs, seasonal projects or placing around the house as a fun family treat. Create a one-of-a-kind family tradition at this year’s Easter egg hunt with camouflage WONKA Hard2Find Egg Hunt—hide the concrete, grass or bark look alike eggs from your guests. These eggs are sure to make your egg hunt unforgettable! The bark recipe is a great family project for us. We’re trying it! Thanks. Hello, Renee! That’s great news! I think we’re going to use all the leftover Easter candy and make one this week! Thanks for sharing!